Stay updated with Emily Coye Books. Sign up for stories, events, and ongoings. 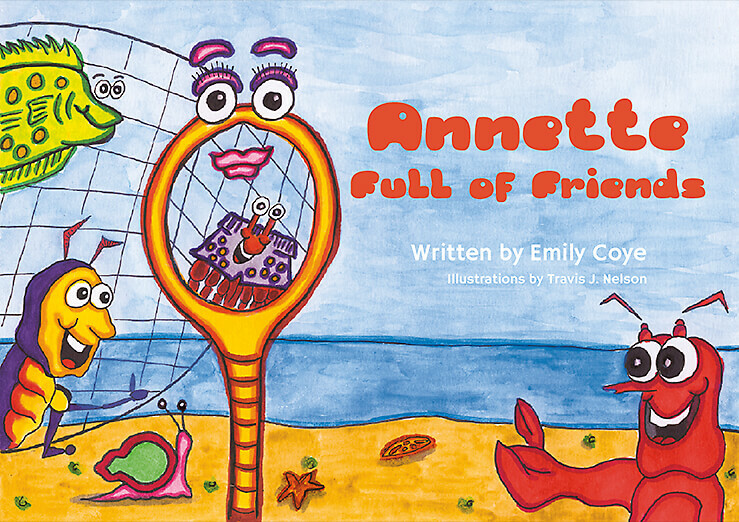 EVERYONE CAN HAVE "a net full of friends!" This story will bring children on a fantastically fun adventure about opening your hearts to those around you. We are all capable of deep friendships when we put aside differences, stereotypes, and judgement, and see people for who they truly are. Doesn’t everyone deserve to feel the magic of friendship? Open your mind, open your heart, and get out there and catch yourself ANNETTE FULL OF FRIENDS! EVERYONE DESERVES a thumbs up! This story, based on a Maine lobster, will bring children on a journey through the eyes of a creature unlike the rest. 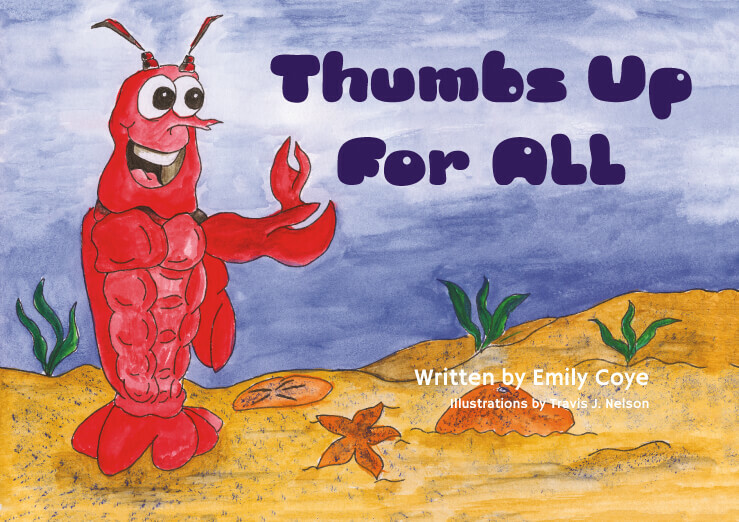 This lobster will always be giving a thumbs up, therefore sharing his positive outlook on life everywhere he goes. Throughout this story he learns to embrace difference by finding his inner courage, while teaching others to do the same. THUMBS UP FOR ALL!